Never say it can't be done! You can be exceptional and use standards. You can be interesting and exciting and rigorous. Here are some places you can go and ideas you can use right now in your classroom or getting started. Feel free to share your own in the comments. An indexed list of Common Core English Language Arts standards and lessons aligned with those standards. A must-share for grades 6-12 English/ Language Arts teachers using Common Core. Edutopia's guide to websites, organizations articles relating to the common core. I do think they are missing "Share My Lesson" from the AFT and TES, but this may have been written before that site launched. A great overview. Using a TED.com video in a Common Core aligned writing assignment as students learn about speech patterns with the purpose of driving a TED-like conference at the school. Here are some back to school ideas you can download and use in your classroom. Take time to look around and start planning now. This school has been reflecting upon their 1:1 ipad program. I applaud their transparency and encourage you to reflect if you're doing it, and read if you're considering it. The right film and the right moment can create mood and meaning. Today in the Olympics, the swim coach was talking about how he had shown a clip from Saving private Ryan and teammembers took on a different air of brotherhood and working together as a team. Film can be a great motivator and teacher in the classroom when well done. It can also be a boring "beuller" moment if not picked well. I like how this blog post deconstructs the use of video and how it can be used effectively in the classroom. 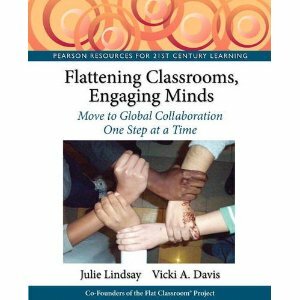 I think it is a great read for all teachers. This lesson plan teaches persuasive devices by looking at Martin Luther King's "I have a dream speech" and you can use this with other speeches as well. It also encourages the use of Wordle, an excellent practice for analyzing documents of any length. Back to school resource pack for kindergarten classes. Take this lesson plan from the New York Times about astronaut Sally Ride and use it. She was such an inspiration to many women - teaching us to not limit our minds to earth but to go past what we think we can do. I hope that teachers will discuss this amazing person with students, particularly as we struggle to have enough people going into STEM fields to sustain the growth of information technology and other science and technology fields. To meet the shortfall, we need to augment the numbers of people going into STEM fields with more women and minorities. Discussing Sally Ride's work as an astronaut gives us a role model. John Langley is a talented teacher who uses online projects and 21st century tools to teach in his digital classroom. This google site is the 'digital classroom" he uses. Peruse his lesson plans, classroom expectations and more. For each of my online modules, MentorMob allows me to create annotated, step-by-step reading/viewing lists that I can easily embed into my course LibGuides. So, I’ve been able to gather stuff from my desktop and from the web–sites, presentations, videos, images, surveys and articles–and pull them all together in a sequence my students will be able to work through them over the course of a week. Playlists can be collaborative, tagged for easier discovery, shared with social networks, commented on and rated. A Firefox extension allows for on-the-fly additions. MentorMob also allows for the creation of multiple-choice and yes/no quizzes. An older but excellent post about rigor from Sheryl Nussbaum-Beach. TECHNOLOGY IS WORTHLESS WITHOUT PROFESSIONAL DEVELOPMENT is just one of the 7 golden rules that Adam Bellow has shared in his 7 Golden rules of using technology in schools in this must read article over at mindshift. This is an example of videos that are uploaded on share my lesson that you can download and use in your classroom. If you don't have access to youtube or streaming, you can go look for videos here like this one. "In this chapter Ji Li finally starts Jr. High School. The school is about 10 times as big as her former middle school. There she finds out that none of her old class mates are in her new class. She begins to succeed in school again and sheis able to rise to the top of her class; no one knows what her class status. We created this audio/video for our students with special needs (below grade level learners) when they had to read the autobiography Red Scarf Girl. The book details the author's experiences as a teenager during the Cultural Revolution in China." Take this powerpoint file and insert it into your slide deck to evaluate learning informally. This is neat. This is a great lesson that is perfect for kindergarten and first grade or students with fine motor problems. High school US history topics separated by topic and grade level. 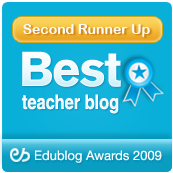 There are some interesting simulations included in this list of resources. Social studies lessons for high school relating to world history and aligned with common core standards. An excellent article from the National Writing project website about how wikis are used in a seventh grade classroom in South Carolina. The article quotes research and practical examples. She says "A wiki website has provided my students with the opportunity to create, alter, organize and share their learning..."
A lovely website about wikis and the use in the classroom. "A wiki is a forum in which students can collaborate, share and contribute content, and peer review each others work. For example, the students in Mrs. Daly’s (White Rock), Mrs. Young’s, (Stanlick) and Mrs. McLoughlin’s (Stanlick) grade 5 classes have been working with grade 5 classes in Buckingham County, Virginia on a shared wiki. Each student was paired with a student in Virginia who is at or near their writing level. We created a wiki for the project and a page within that wiki for each student. The goal of this collaborative project was to provide an authentic opportunity for students to develop their writing skills. Each student was responsible for authoring a writing piece based on a common writing prompt. After the students added their written work to their page they were responsible for peer editing the work of their partner. The students followed a common template for peer review that was shared with all six teachers involved. The students provided the feedback to their partners in Virginia through the discussion feature that is available on each of their pages. This project has been a success. The students were provided with the opportunity to write for an audience. They enjoyed learning about their partners in Virginia. It was a great opportunity to experience writing from their peers in other states. The opportunity to send and receive feedback provided an opportunity for reflection regarding their writing. The student’s in Mrs. Young’s class and their partner class in Virginia will be continuing this project. They are in the process of organizing a wiki in which each pairing of students will co-author a single story." This is a great example of collaborative writing in the elementary classroom. These teachers are using peer review to cover first drafts. High school topics. Click on a topic and find lessons in that area. Going paperless is a challenge but I've had a lot of success using dropbox and Google Apps as well as one note. Cute ideas for classroom doors. Cute classroom door pinterest board. This is one of my favorite poems about teaching that I've written. It is about your room and your classroom. Inspiration and encouragement for teachers having a rough time. I am teaching. It is something you do every day, not a job title. "I doubt Plato had poofy hair that just wouldn't sit down and Socrates probably didn't have a hole in his sock. The thing we have in common is that they showed up. Consistently and daily, they were there teaching. And there is the difference. There is a big difference between being called a teacher and teaching. That is why some people are so mad about teachers. Some teachers aren't really teaching at all." 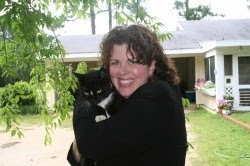 Cool Cat Teacher Blog: The fight for attitude preservation! We have to fight to stay positive in the classroom. As I prayed for the boys who were struck in some terrible accidents, I'm worried if I did enough. Did I show enough kindness? Did I matter? Reflections on dealing with such thoughts as a teacher. I own my own attitude. "I am at the center of my own attitude. I own it, it is mine. I can blame no one for putting me in a bad mood fo rthis is my attitude. The attitude of another is really an Att-U-Tude." This is one of my favorite simplified clasroom rules posters. I am thinking to do something similar to this. If you're on pinterest and use the hashtag #classrules in the description it will show up on this lovely board. This is an example of how hashtags can do incredible things on Pinterest (like on Twitter.) Now is the time to share these. My favorite graphics for classroom rules are from Pinterest! There are some ideas for class voting, etc. but some very nice photos and graphics. I see some ideas here. One that I'm pinning to my board says "stick together" and I like that. When looking for graphics like for Classroom Rules, I like to do image searches on Google because you can usually find some very brief summaries. Here are some short ideas for those of you working on your wall posters now. Simple is better. Some ideas and great pointers from Education World about classroom rules. Review and consider your classroom rules. My best advice is to keep them simple and few and if you want to go into detail, let the students collaboratively write out the details in a google doc or using post it notes as you talk about what kids should and shouldn't do in the classroom. It is great to talk about these things up front because you will understand the "pet peeves" that drive kids crazy about each other (saving yourself time.) I find that spelling out my bare minimum and involving kids in the detaiils gives them ownership. Bastille Day is July 14th. If you want to teach some French words, about the French Revolution or French culture, you could celebrate this holiday. You could create a fun "storm the bastille" event (of course they didn't have water guns, but it is summer in the US.) Here are some other lesson plans you can use for this holiday. I think that #engchat and reading teachers would be interested in downloading this list from Linda. She has shared a spreadsheet of reviews by graduate students of teacher books for teaching reading in the content areas. This is an example of how college professors can understand and share resources to help K12 teachers. Another great example of a persistent man was Sir Winston Churchill.